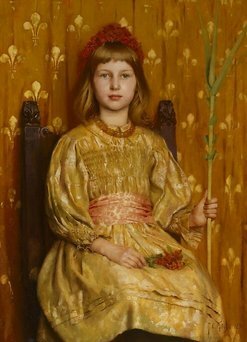 Signed and dated l.r., brown paint "T C Gotch 1891". Source unknown, Purchased by the AGNSW 1899, possibly from the artist. A L Baldry, Studio , ‘The work of T C Gotch’, London, 1898, pp 73–82: p 82. Charles H Caffin, Harper's Monthly Magazine , ‘A painter of childhood and girlhood’, London, May 1910, pp 922–32: p 924, illus p 930. Marion Hepworth-Dixon, Lady's Realm , 'A painter of womanhood', London, Dec 1904, pp 171–78: p 176. Lewis Hind, Windsor Magazine , ‘T C Gotch and his pictures’, London, 1896, pp 273–79: p 279. Barry Humphries, Favourites: Margaret Olley and Barry Humphries choose from public and private collections , 'Introduction', Sydney, 2000, col illus p . Catalogue entry appears in an inserted list accompanying printed catalogue: Selections by Barry Humphries. R Jope-Slade, Black and White Handbook to the Royal Academy and New Gallery Pictures , ‘“The outsiders”: some eminent artists of the day not members of the Royal Academy’, London, 1893, p 23. Claude Phillips, Art Journal , ‘The summer exhibitions at home and abroad, II – the Royal Academy and the New Gallery’, London, 1892, pp 215–23: p 222. Michael Preston, Arts Club , 'The year of 68 new friends', London, Spring 2000, pp 11–15: p 13, illus p 13. Athenaeum , ‘The Royal Academy (third notice – genre pictures and portraits)’, London, 21 May 1892, pp 671–73: p 672. World’s Columbian Exposition: official catalogue of exhibits: part X, department K, fine arts , Chicago, 1893, p 133. Royal commission for the Chicago exhibition, 1893: official catalogue of the British section , London, 1893, p 284, no 187. Magazine of Art , 'Art in May', London, 1894, pp xxix–xxxii: p xxxiv. The twenty-ninth spring exhibition at the rooms of the Society, New Street , Birmingham, 1894, p 44, no 338. Illustrated catalogue of the special exhibition of pictures by Cornish painters of Newlyn, St Ives, Falmouth , Nottingham, 1894, p 6, no 12, illus opp p 6. Twelfth autumn exhibition , Manchester, 1894, p 32, no 325. Explication des ouvrages de peinture, sculpture, architecture, gravure et lithographie des artistes vivants exposés au Palais des Champs-Elysées, le 1er mai 1895 , Paris, 1895, p 72, no 857. Published by Paul Dupont, Paris, 1895. Thirteenth autumn exhibition , Manchester, 1895, p 32, no 325. Catalogue illustré de peinture et sculpture … salon de 1895 , Paris, 1895, np, no 857 [not illustrated]. Internationale Kunst-Ausstellung Berlin 1896: Katalog , Berlin, 1896, p 45, no 825. Brussels International Exhibition, 1897: catalogue of the British Fine Art Section , Brussels, 1897, p 20, no 125. Published by the committee of the British fine art section. Catalogue illustré de l’Exposition Internationale de Bruxelles: Beaux-arts , Brussels, 1897, p 25, no 125. Not illustrated; published by Bernard et Cie, Paris. National Art Gallery of New South Wales (annual report for 1900) , Sydney, 1901, p 2. The Royal Academy of Arts: a complete dictionary of contributors and their work from its foundation in 1769 to 1904 , London, 1905-1906, vol 3, 1905, p 279. National Art Gallery of NSW illustrated catalogue , Sydney, 1906, p 47, no 118. 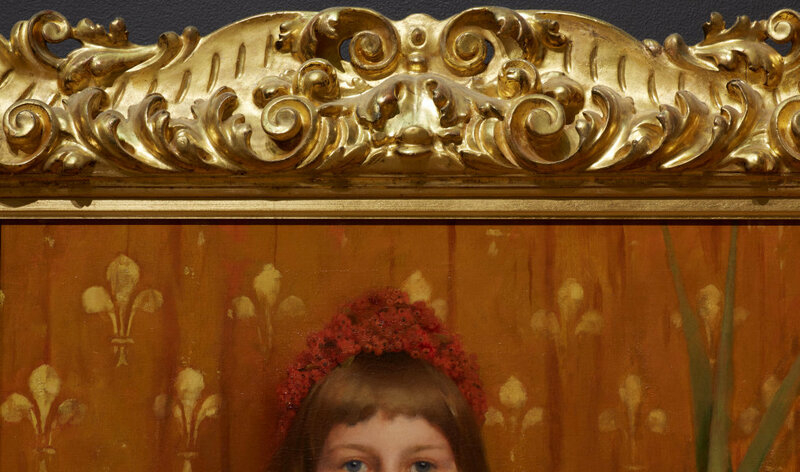 Looking for faeries: the Victorian tradition , 'The legacy of English fairy painting', Bendigo, 2010, not paginated. National Art Gallery of NSW: illustrated catalogue , Sydney, 1924, p 25, no 56. Artists of the Newlyn school, 1880–1900 , Newlyn, 1979, p 177. Art Gallery of New South Wales annual report for the year ended 30th June 1986 , Sydney, 1986, p 21. Dreams and realities , Sydney, 1993, p 3. The shining sands: artists in Newlyn and St Ives 1880–1930 , Devon, 1994, pp 133–34. Published in Tiverton, Devon. 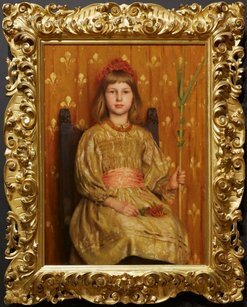 Thomas Cooper Gotch (1854–1931): the making of the artist , Kettering, , pp 19–20, 24. 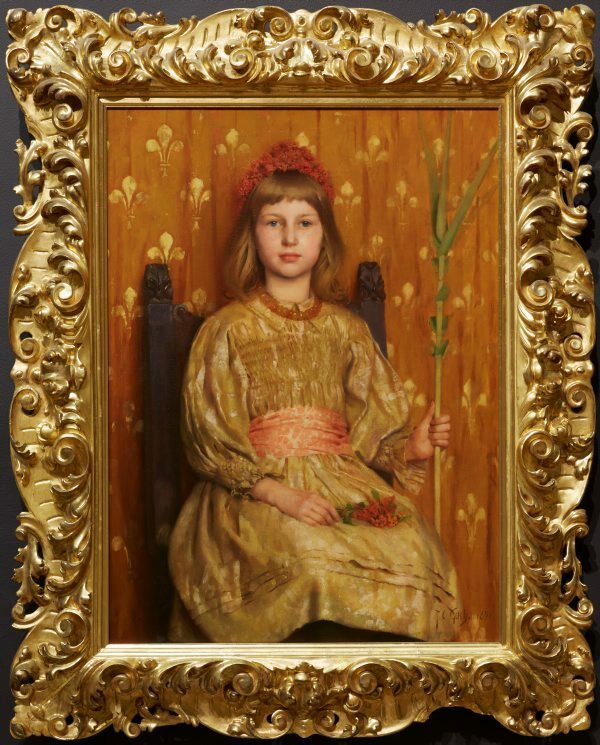 Thomas Cooper Gotch: a painter of childhood, motherhood and empire , London, 1997, pp 12, 15 note 55, illus p 46, fig 3. Masters dissertation, Courtauld Institute, London. Art Gallery of New South Wales annual report 2000 , Sydney, 2000, p 59. Loan. Les peintres Britanniques dans les salons parisiens des origines à 1939: répertoire , Dijon, 2002, p 224. The golden dream: a biography of Thomas Copper Gotch , Bristol, 2004, pp 14, 99–100, 103, 105–106, 111, 138, 173–74, col illus p 21. Great Victorian pictures: their paths to fame , Leeds, 1978, p 40, under no 18. National Art Gallery of NSW: illustrated catalogue , Sydney, 1917, p 41, no 109. A Winter in Florence 1891–1892 , Penzance, 2001, pp 5–7, 9, 12, 22–25, col illus p 13. British painting 1800–1990 in Australian and New Zealand public collections , Sydney, 1997, p 90, no 792, illus p 91. Art Gallery of New South Wales catalogue of British paintings , Sydney, 1987, p 78, illus p 78. The exhibition of the Royal Academy of Arts, MDCCCXCII, the one hundred and twenty-fourth , London, 1892, p 25, no 641. Pall Mall Gazette “Extra” , 'The Pictures of 1892', London, 02 May 1892, illus p 92. Royal Academy pictures , London, 1892, illus p 135. 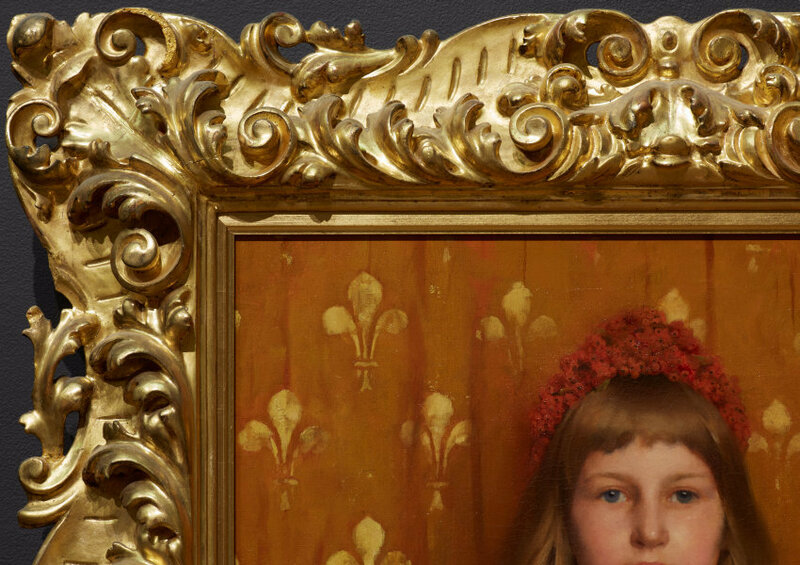 Royal Academy supplement of The Magazine of Art. Twenty-second autumn exhibition of modern pictures in oil and water colours , Liverpool, 1892, p 15, no 214.